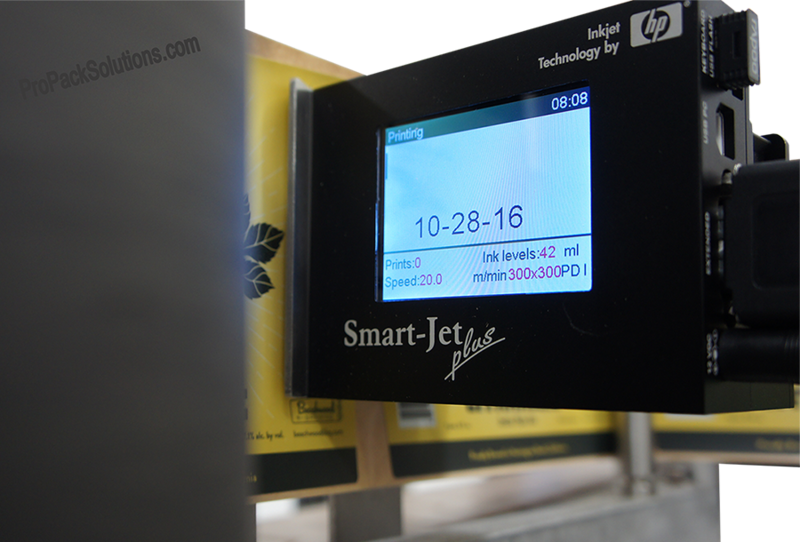 Smart-Jet PLUS Ink Jet Printer Solution for Automatic Label Applicators. Everything you need to be up and running within an hour! 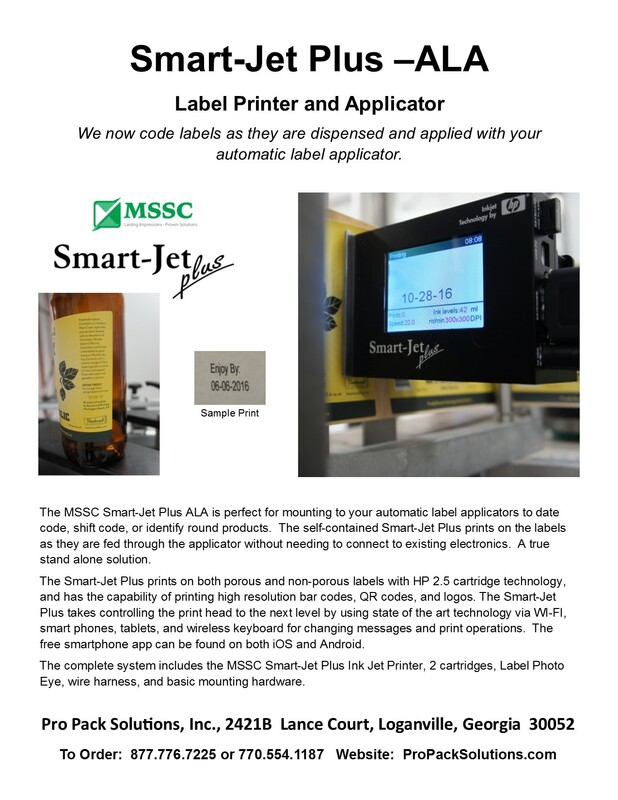 Smart-Jet PLUS-ALA Automatic Label Applicator Solution includes the Smart-Jet Printer, your choice of either two black porous or non-porous HP cartridges, external photo eye, and cabeling. All you will need is electrical power, and an operator to start date/shift/identifying your products. Our system is totally independent from your automatic labeling system. When your system runs, ours runs. 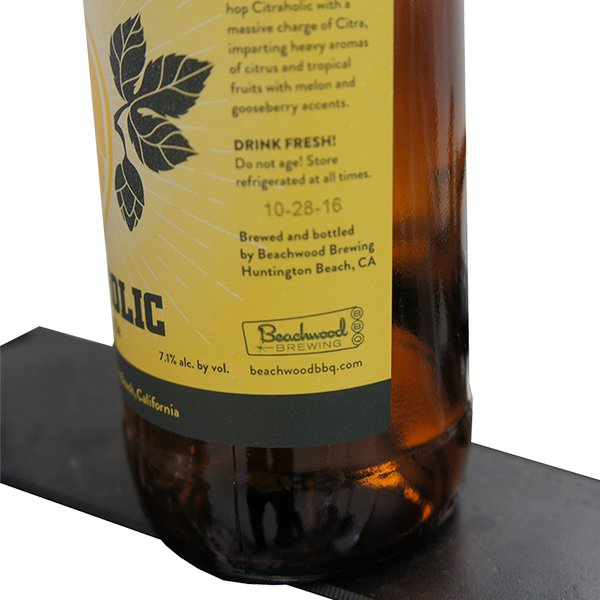 Our solution will adapt to almost any type of labeling machine you have as long as you are able to mount the system and print on a flat surface. There are plenty of pros to the SJP. Simple, easy to use and program with a cell phone or tablet. The one con is the unit at this price does not confirm you have registered your mark. This requires specialized cameras and software costing thousands of dollars. We have a pdf brochure available by clicking here. Wi-Fi connection via Android and iOS, smartphones and tablets. USB connection for future firmware and font upgrades. Built-in photo sensor and Aux port for optional external photo sensor and/or encoder. Anti-shock mounting for printer protection. Smart Jet Plus offers a wireless keyboard and larger display screen. Porous and non-porous cartridges also sold separately. Smartphones and tablets using Android and iOS devices sold separately. Automatic labeling machine sold separately. The printer require 115v electrical power. We recommend having surge protection for the printer. NOTE: We can only ship the porous cartridges by AIR if you select faster shipping. If you are ordering the non-porous cartridges we are unable to ship by air. This includes USPS (postal), Next Day, Second Day, and 3-Day Shipping with UPS. 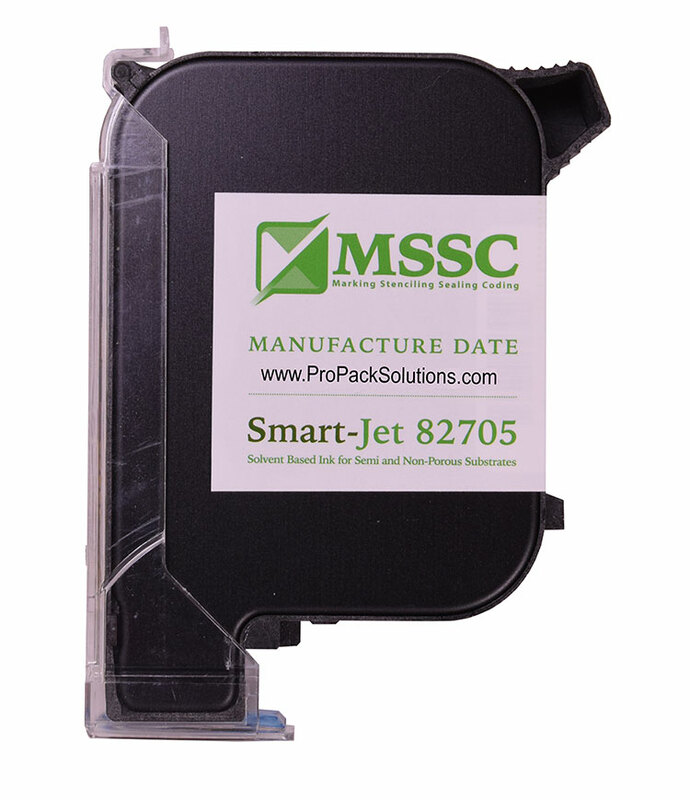 Smart Jet Plus User Manual in pdf - Click here. Quick comparison between the standard Smart-Jet and the Smart-Jet Plus. 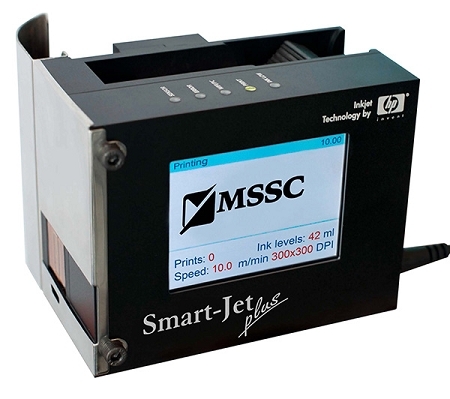 Smart Jet Inks and compatible substrates the different inks work with. A short pdf file explaining what works with what. Click here.